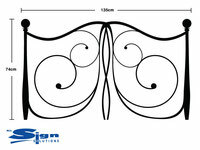 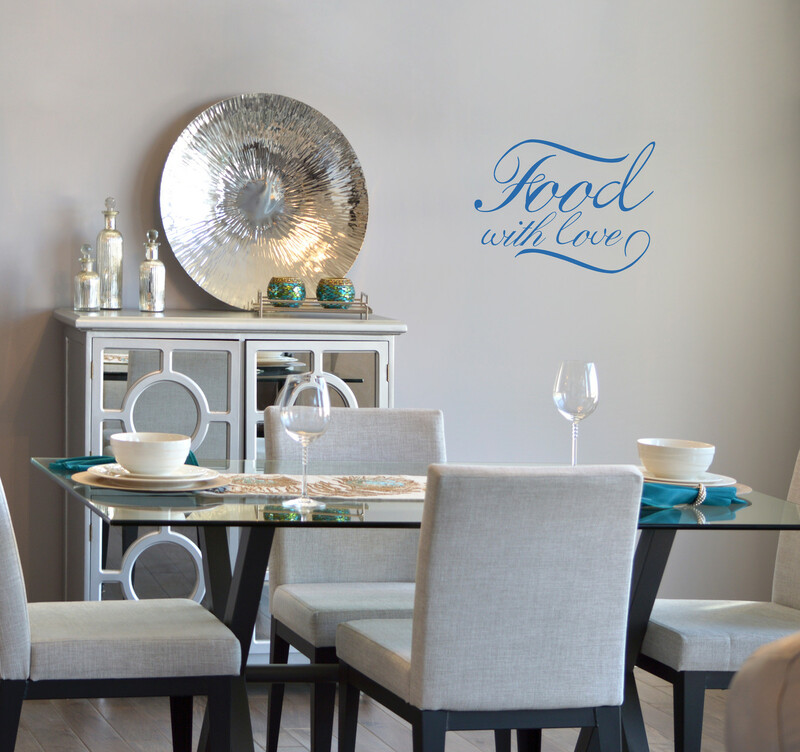 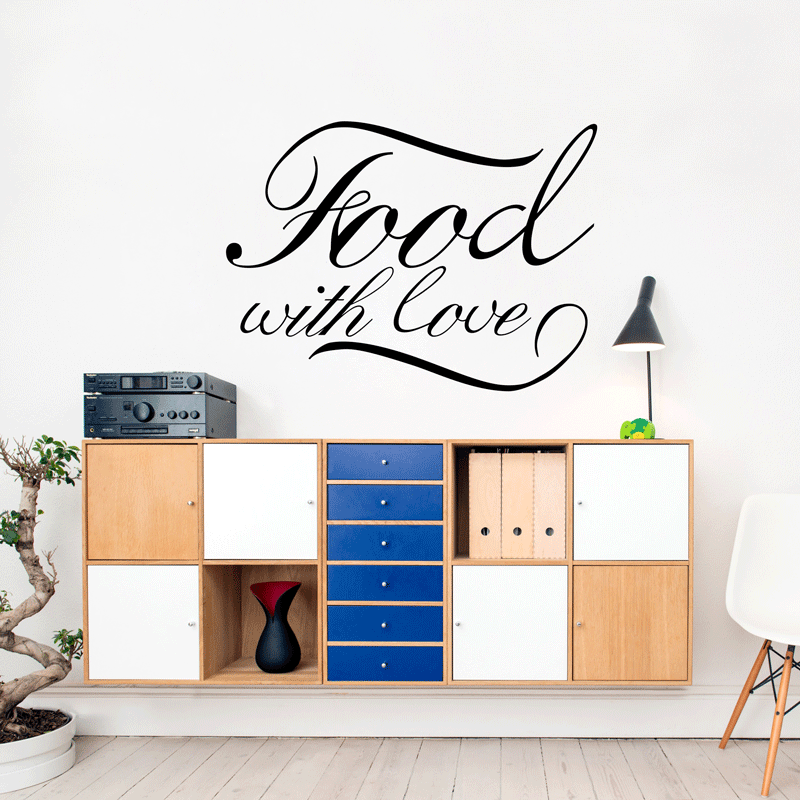 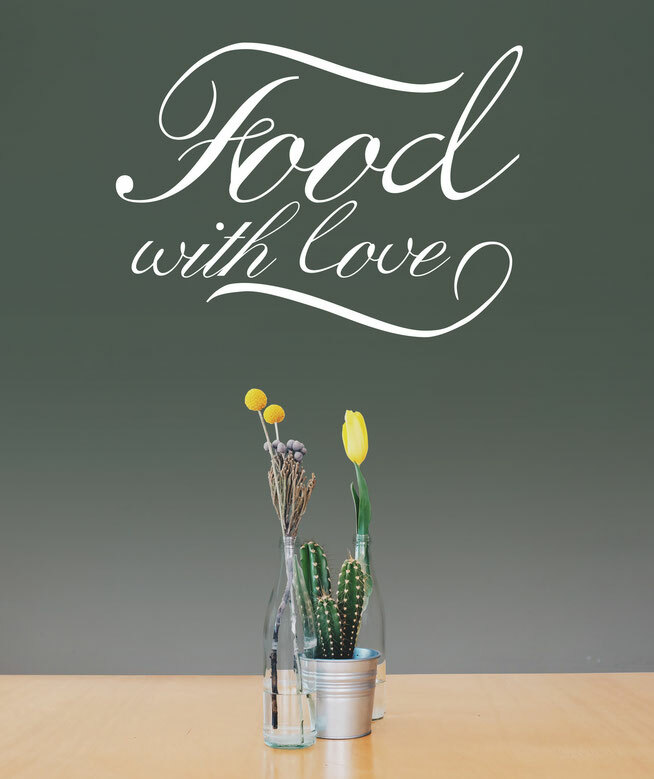 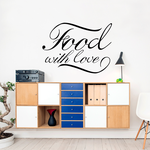 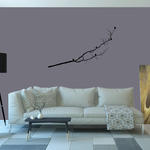 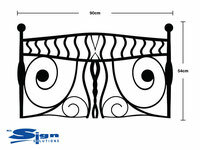 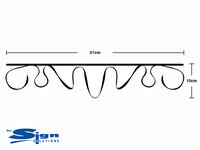 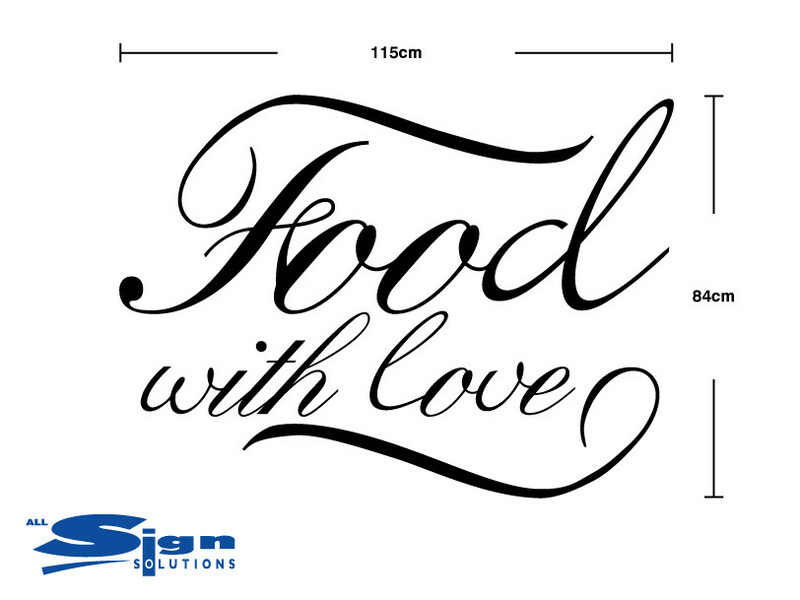 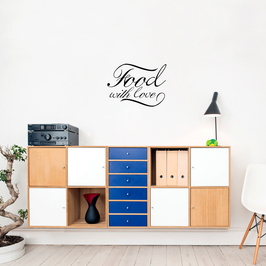 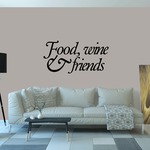 Food themed wall art "Food with Love" is an elegant design with joined up decorative writing. 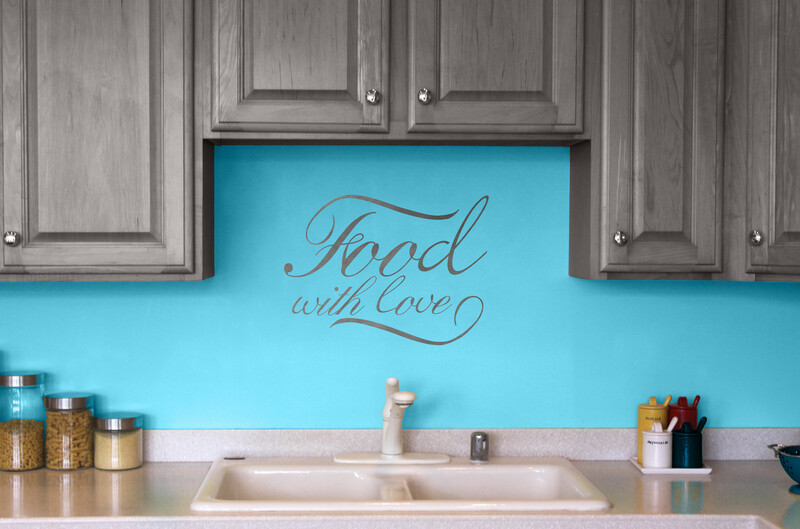 Perfect for homes were the food is made with love making it even more delicious. 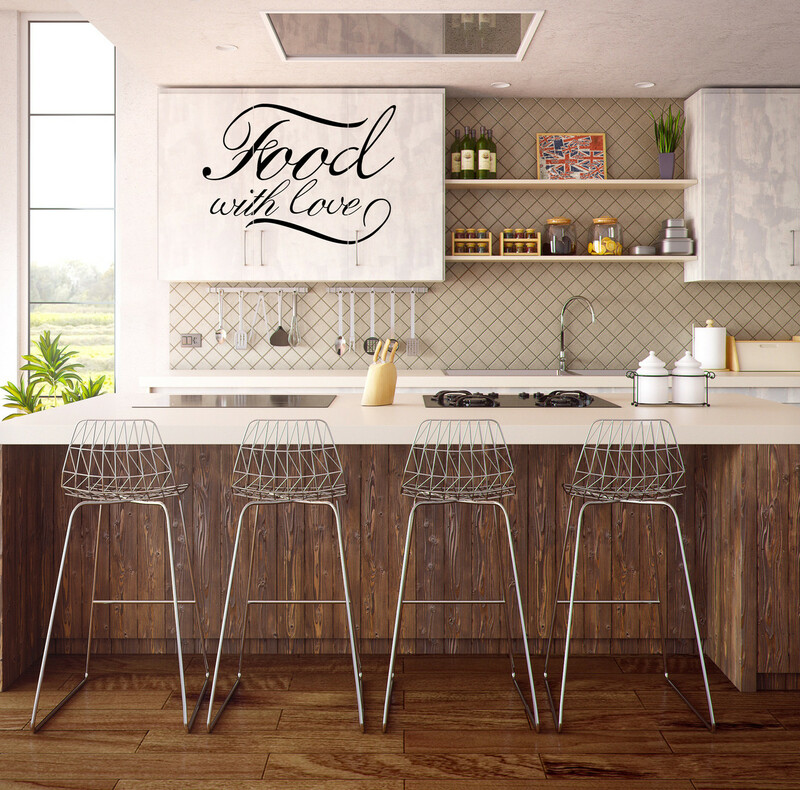 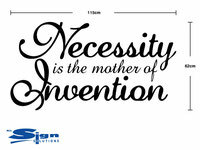 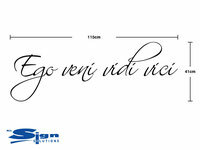 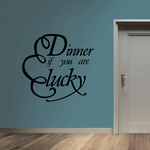 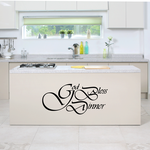 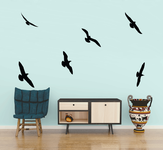 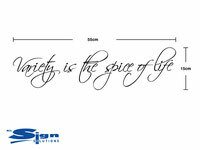 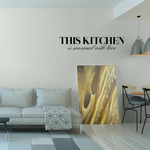 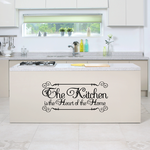 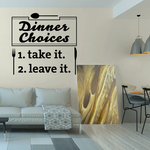 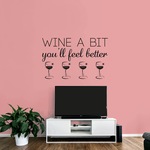 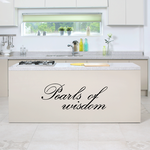 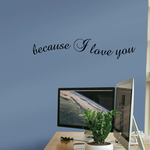 Ideal for a kitchen or dining room area, this is a bold and contemporary wall art design with joined up writing.